Please note: If you wish to make a few items from Charlie’s Aunt sewing patterns or books to sell, please read the rules in the "additional information" section of our policies page. 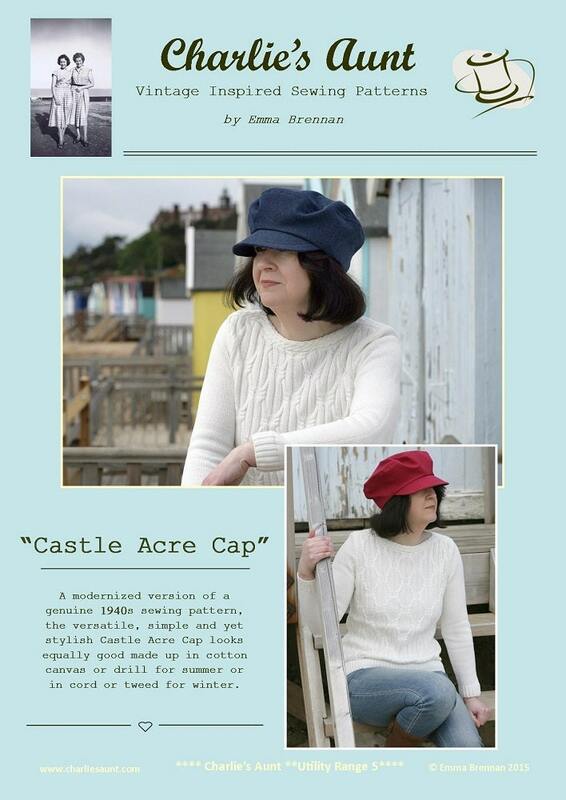 This is a PDF sewing pattern for the ‘Castle Acre Cap’. 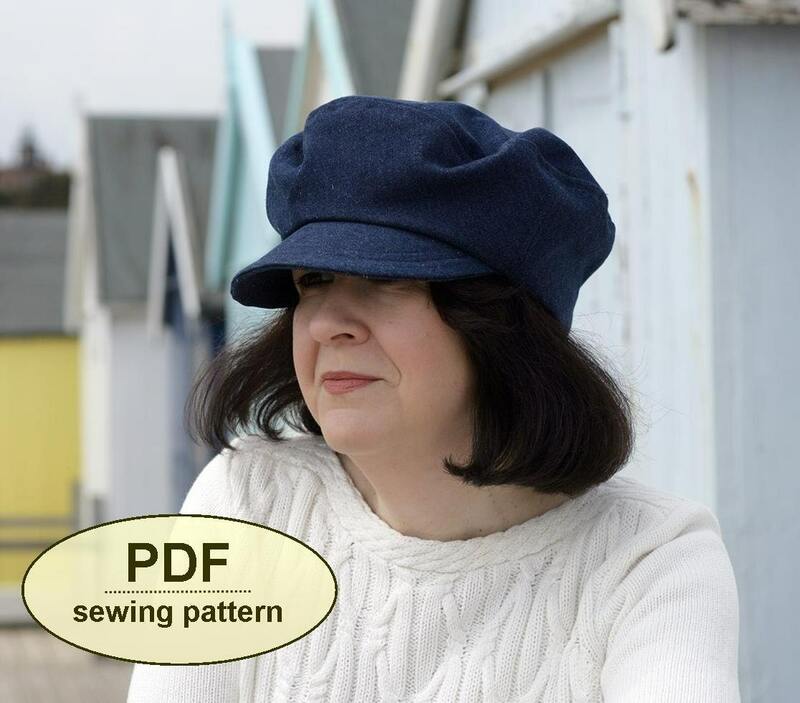 The style in this pattern is influenced by the caps popularised in the 1940s. 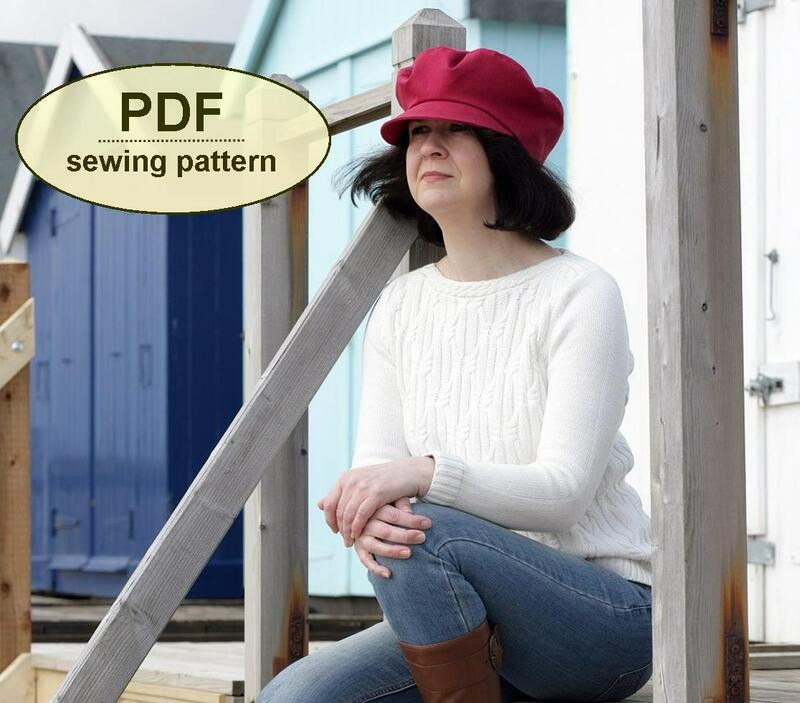 I love the fact that it is a modest shape and construction is simple, but it is very versatile and stylish, making up equally well in cotton canvas or drill for a nautical look, or in corduroy or tweed for a country feel. It can be worn all year round and is offered in ONE SIZE (medium size 22.5” head approx.) with tips on making it smaller or larger. 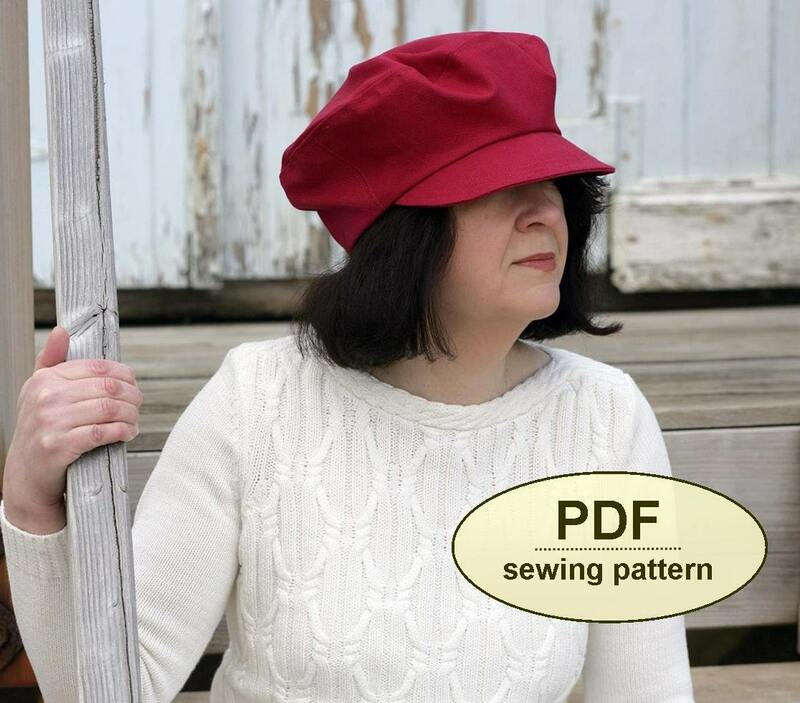 This PDF has 11 pages—7 pages including the cover, general, cutting out and step-by-step instructions, and 4 pattern sheets with the templates, which you must print and cut out. All of the templates are actual size.